Composed by Rebecca Clarke (1886-1979). Chamber/Ensemble. 32 pages. Oxford University Press #9780193867482. Published by Oxford University Press (OU.9780193867482). 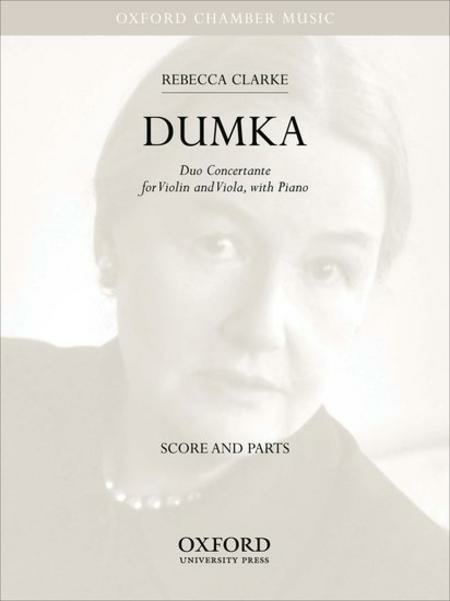 A duo concertante for violin, viola and piano This work was written around 1940, placing it near the beginning of a series of Clarke's late compositions. It both looks forward to her lean, linear, avowedly modern conceptions and backwards to works which are explicit homages to ancient styles, forms, and composers. A strain from the gypsy-rondo of Brahms's Piano Quartet Op. 25 echoes throughout the opening pages and is heard again in the piece's remarkable conclusion. Very expressive and romantic piece. I am a pianist, and found that while the piano part is not terribly difficult,, it is still very musically satisfying. There are some tricky ensemble issues to address. I wish she wrote more for this ensemble.